Help Random Encounter Productions GET TO MEGACON! Buy a shirt to fund the quest! All funds raised will be paid directly to Random Encounter Productions for Megacon 2019. Our team is trying their best to save up for one of the biggest conventions in town, MEGACON 2019! Every shirt purchase will go directly toward our company's booth, merch, advertising, and more! I’m a huge fan of this show, and I would love the chance to see these guys at MegaCon! I may be in a ‘different time zone,’ but I’ll always support my big sis! 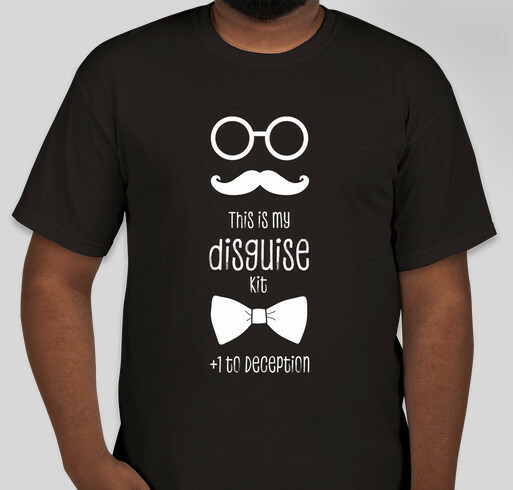 I enjoy the show, I love the shirt, and I want to help out. Cause you guys are great and I'd love to help get the other supporters a chance for the shirt! Share Why You Support "Help Random Encounter Productions GET TO MEGACON!"